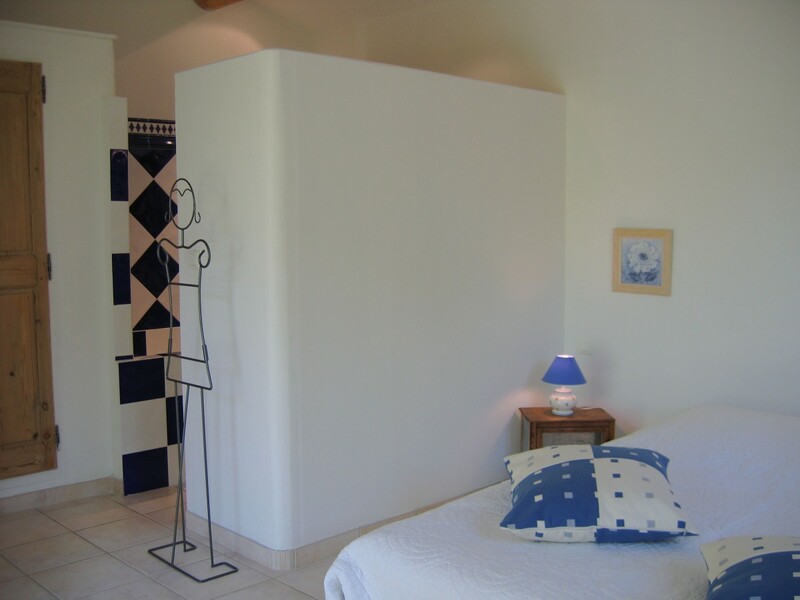 Warm and spacious room, with double exposure: an opening to the west with a shaded terrace where you can enjoy a moment of relaxation and an opening to the south over the Luberon. • From 100 € to 105 € per night, depending on the period, for 2 people, breakfast included. • Extra bed 15 €. 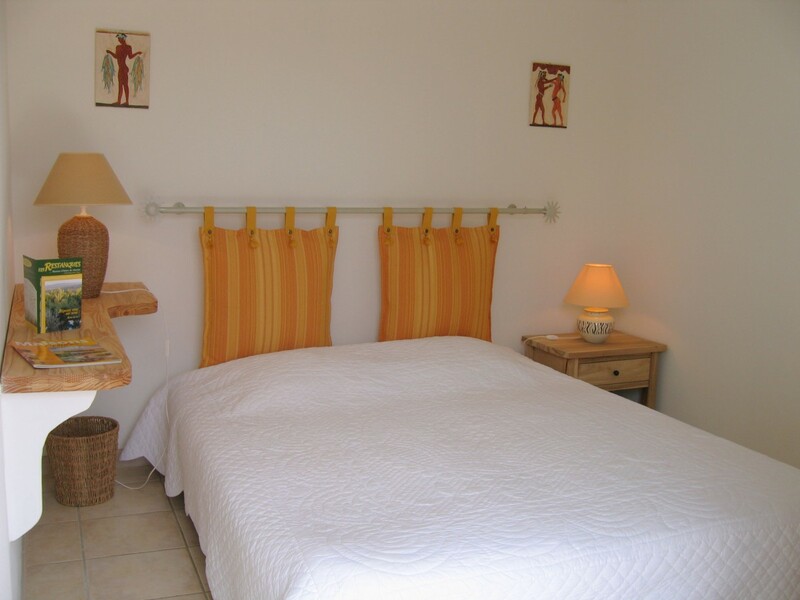 Pleasant by its brightness, you have a beautiful view of the swimming pool, the garden and the mount of Luberon. The private terrace allows you to enjoy the charm of the place. • From 90 € to 95 € per night, depending on the period, for 2 people, breakfast included.